I usually run across 2 versions of Rig EK: Rig-V (Rig 4.0) and Rig-E (Empire Pack). Rig-V is what security researchers called Rig EK version 4 when it was only accessible by "VIP" customers, while the old version (Rig 3) was still in use (reference). I currently call it "Rig-V" out of habit. The proper name for Rig-E is "Empire Pack". Empire Pack a variant of Rig EK as described by Kafeine here. I haven't seen Empire Pack traffic in 2017 yet, but I often see it from the EITest campaign (when EITest is distributing something other than CryptoMix/CryptFile2 or Cerber). 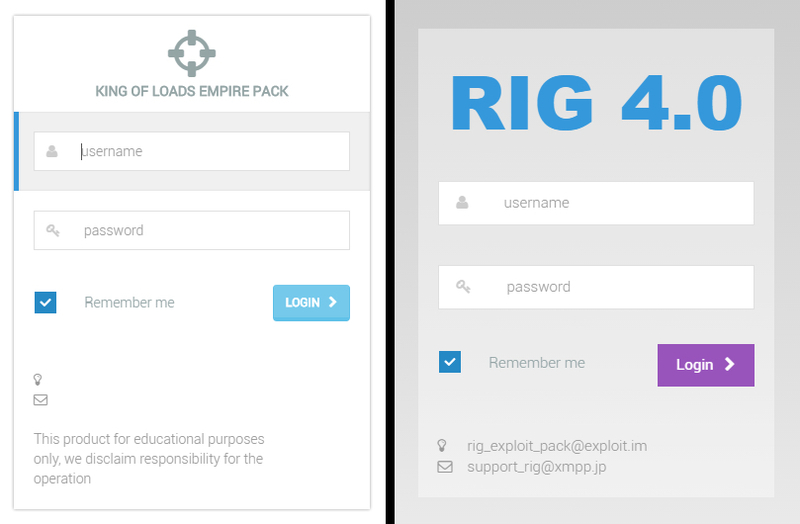 Shown above: Login panels for each exploit kit. Images from malware.dontneedcoffee.com (link). My thanks to everyone who continues to inform me about compromised websites. Without your help, I wouldn't be able to generate most of this traffic. 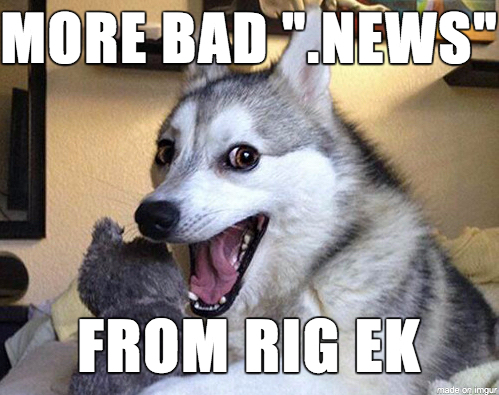 Rig EK continues to use .news as a top level domain (TLD). That's always pun-worthy. Shown above: I will never get tired of ".news" puns.